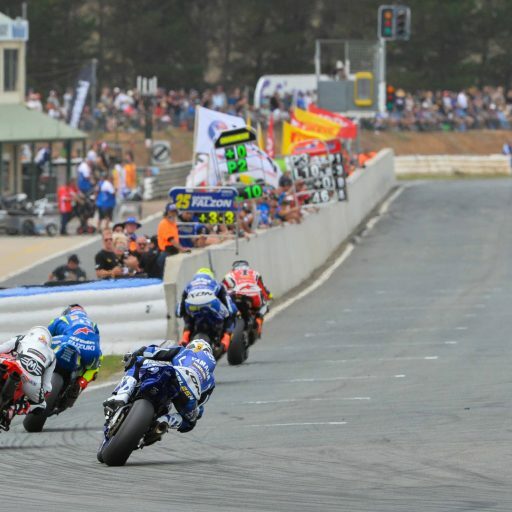 Round two of the Australian Superbike Championship (ASBK) saw Yamaha riders again clog up the podiums in all classes with bLU cRU supported riders taking the top five positions in the 300cc Supersport and four out of the top five in the 600cc Supersport.After two round, Yamaha are now in control of the points in all three major championship classes and have started the 2019 year in stunning form. He came, he saw, he conquered! 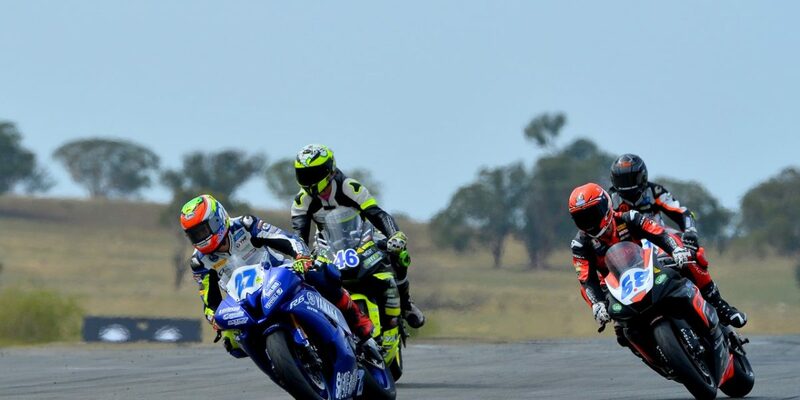 Local Goulburn hero, Tom Toparis swept all before him at the second round of the Australian Supersport Championship on the weekend at Wakefield Park, which had over 6000 spectators through the gates over the course of the three days. 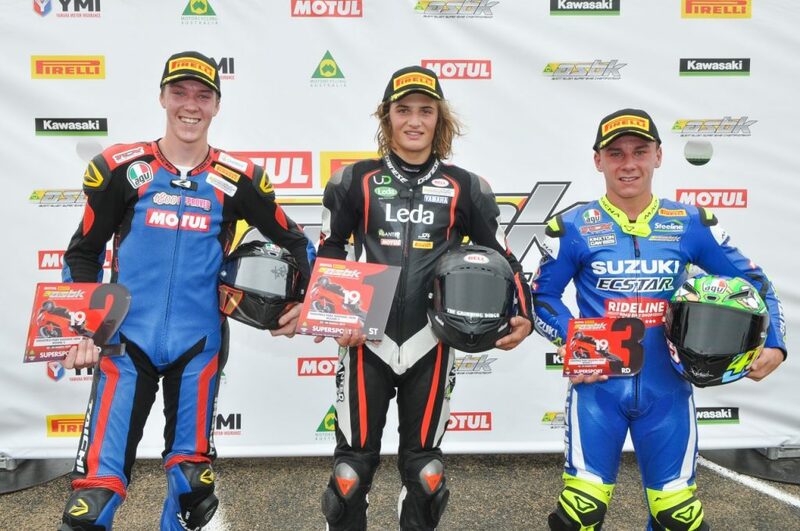 After a dominating weekend at the opening round at the Phillip Island Grand Prix Circuit, Toparis did the exactly the same at the Wakefield Park circuit, but stamped his authority on the round by posting the fastest lap times in every session over the weekend. Race one saw Toparis running away from the field, leading from start to finish. 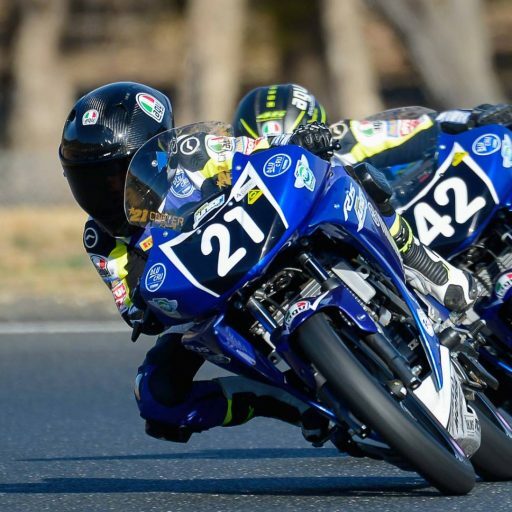 Toparis beat Broc Pearson by 3.672, while Cube Racing’s Oil Bayliss was third, 7.221 seconds behind Toparis, making it a Yamaha 1-2-3 finish. Not only did Toparis win by a massive margin, but he also posted a new race lap record on lap six with a sizzling 59.575, beating Cru Halliday’s lap record by .037 seconds. In the second sixteen lap race, Toparis was made to work for his race win with Pearson snapping at his heals during the race. However, Toparis prevailed and went on to beat Pearson by 1.233 seconds. “What a weekend it has been. 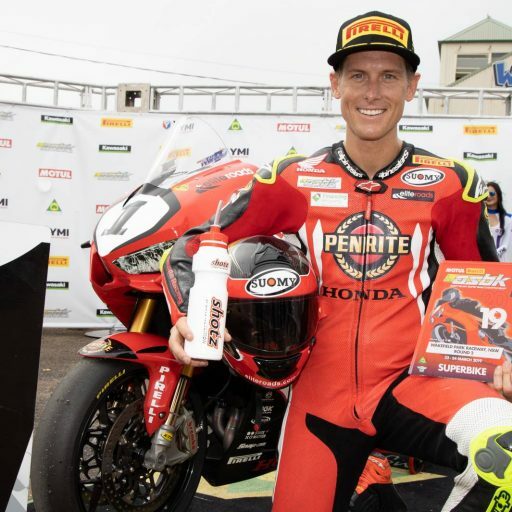 To come out of the weekend after topping every session and with maximum points was exactly what the team and I were hoping to do,” said an excited Toparis after race two. “It’s awesome to do it at Wakefield, as I have never got the clean sweep here. It’s a weekend which I won’t forget for a long time. I have to thank all the supporters for coming out this weekend as its unreal to win in front of a large crowd,” added Toparis. Making it a Yamaha 1-2 for the overall round was Pearson. It goes without saying round two of the championship has marked Pearson’s best overall round thus far. The 18-year-old snared his best dry qualifying result, when he qualified .483 seconds behind Toparis. On top of that, his second place overall for the round was his best finish to date. 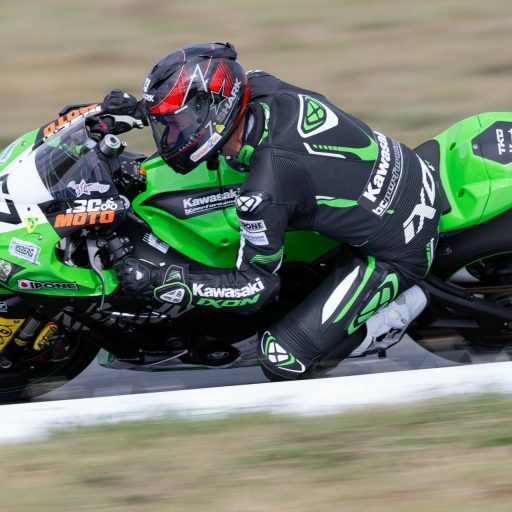 Max Stauffer made it back-to-back round wins in the Australian Supersport 300 Championship after he turned his pole position into a 1-1-2 result and another round victory. 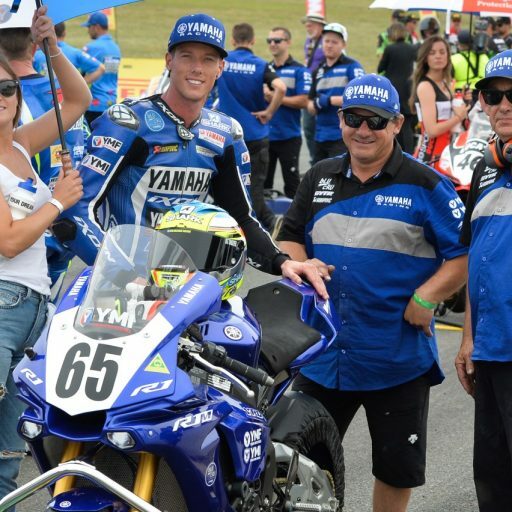 Once again the Australian Supersport 300 category didn’t disappoint throwing up some cracking racing across the weekend and showing that the Yamaha YZF-R3’s were the bikes to be on. In race one, Stauffer held Ben Baker at bay by a mere .069 second with John Lytras in third, .208 seconds behind. Race two, and once again it was a pure drag race to the line, with Stauffer this time beating Zac Levy by .060 with Locky Taylor in third, .266 seconds behind. 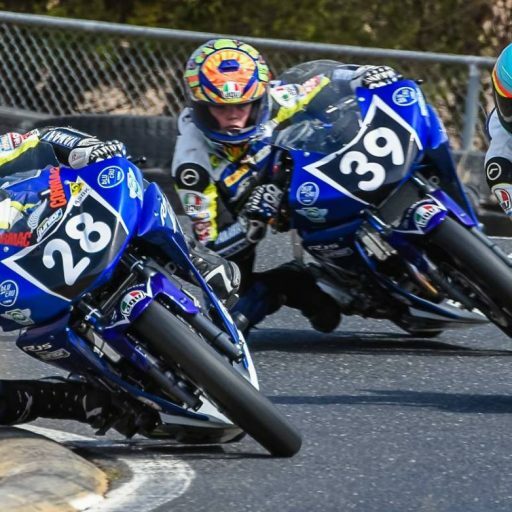 It was Lytras up setting Stauffer’s clean sweep in the third and final race when he took the win, beating Stauffer by .066 second with Ben Barker in third, .261 second behind. Barker however did write his name down as the new race lap record holder when he beat Lytras’ lap record by .234 when he posted a 1min05.740 on lap eight. The overall result however saw Stauffer beating Baker by sixteen points, with Taylor in third on 50-points. “It’s been a solid weekend for the team and I,” said Stauffer after race three. “To get pole position and two race wins was pretty good. I would have liked to have got the win in the final race, but John dived up the inside of me at the last corner on the last lap. Its fine, its racing and it’s going to happen. I just have to remember for next time to cover my lines a bit more on the last lap. Main thing is we got the round win and have extended our championship lead,” finished Stauffer. 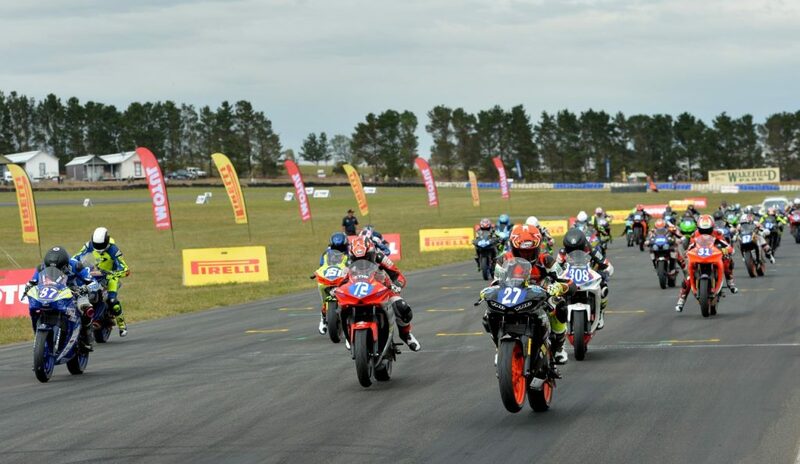 Stauffer now enjoys a 39-points buffer over Lytras as the championship heads to The Bend Motorsport Park which takes place on 26-28 April.